Do You Have A Stretched Ego? I have bad news. If you live in the northern hemisphere, where most of the earth’s land mass is located, you probably have a stretched ego. 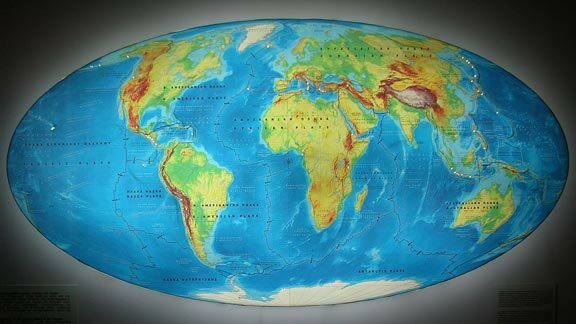 Because the earth is round like a ball, when map makers convert the earth into a flat map, they have to distort things to make it fill up a rectangle. To see how hard this is to do, try taking the peel off an orange in one piece and stretching it out into a rectangle. 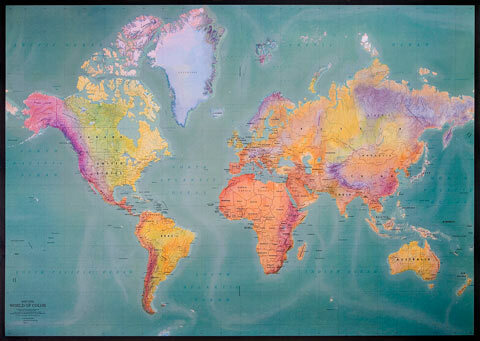 The further north you go on some maps – like the Mercator map above – the more stretched out the earth becomes. This makes Greenland, North America, Europe, and Asia look ginormous, while the continents in the southern hemisphere look relatively tiny. Some people say this gives us northeners a stretched ego. To discover more about seeing the world in a less distorted way, check out this site.